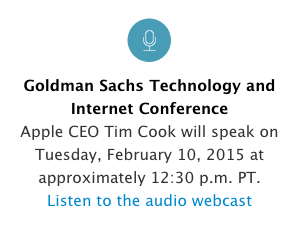 Apple CEO Tim Cook will speak at the Goldman Sachs Technology and Internet Conference today at 12:30PM PT/3:30PM ET, with a live audio webcast available on the company’s Investor page, which was updated moments ago of the news. Cook has spoken at the same tech conference back in 2012 and 2013 and will most likely have some interesting quotes or tidbits to share. 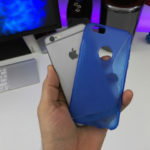 Former Apple CFO Peter Oppenheimer—who retired back in September—joined the Goldman’s board of directors last March.